Um… At least she isn’t accusing the actress of bullying. 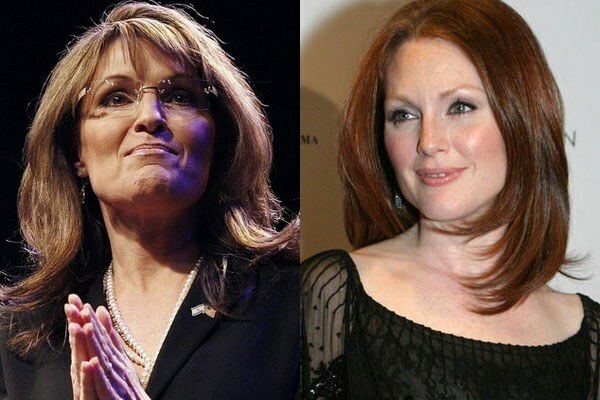 Responding to news that Julianne Moore will be playing the former governor in an upcoming HBO adaptation of Game Change, the 2008 behind-the-scenes political campaign peek. I get that Palin think’s she’s being funny, but it falls flat. Also, what’s with the emperor’s new clothes she is sporting? Palin, as many of you know, is a paid employee at Fox News, with an estimated yearly salary of $250,000. I think it’s safe to say she can afford a trip to the orthodontist. If you’re already here, it’s worth a peek. First the bullying-bullying, and now the awkward “job creation” talk. Palin’s not exactly having her best week ever, eh?